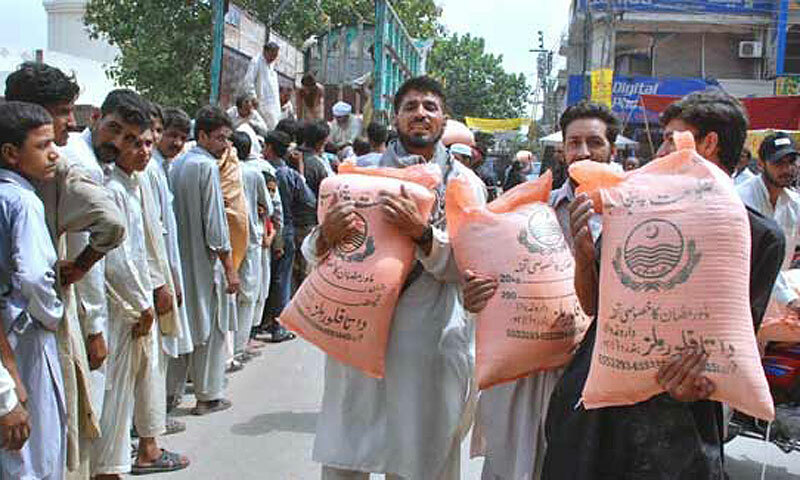 KARACHI: The fixing of wheat issue price at Rs3,450 per 100-kg bag by the Sindh government may not provide any price relief to the flour consumers as it is slightly lower than the prevailing open market rate, millers and traders told Dawn on Saturday. The millers were expecting fixing of the issue rate at Rs3,300 per 100 kg bag. They said that last year the issue price was fixed at Rs2,800 per 100 kg bag. Besides, the wheat procurement price for growers at Rs1,200 per 40 was also high as compared to last year�s Rs1,050. Chairman Pakistan Flour Mills Association (Sindh Zone) Ch Ansar Jawed said he could not say about any decline in flour price but at least there may be some stability in the rates. He added after adding transportation cost the issue price would cross Rs 3,500 per 100 kg bag. The millers were already paying over Rs3,500 per 100 kg bag from the open market, and on Friday the wheat bag rate was quoted at Rs3,550-3,600. Ansar said that the millers would get 30,000 tonnes of wheat from Sindh government this month. Sindh Food Department had procured over one million tonnes of wheat from the growers this year. He said much would depend on the arrival of Russian wheat and its landed price. He urged the Sindh government to maintain enhanced wheat supply to the millers so that the flour prices would remain stable. Meanwhile, the Wheat Traders Association of Pakistan (WTAP) has urged the government to reduce the withholding tax on all wheat imports to one per cent and also ensure that only quality wheat is imported. The country has not met its wheat production target this year and consequently PASSCO and Provincial Food Departments have only met 70-75 per cent of their procurement targets.